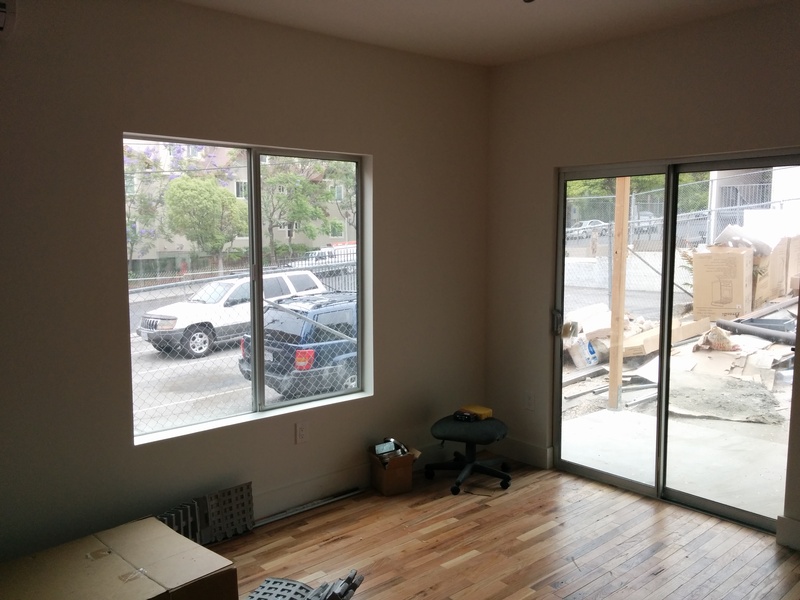 Our go-to moves when we renovate older buildings include radically expanding the windows and adding sliding doors. It’s pretty obvious why we do this: More light (which is why the rest of the shot looks so dark!) and creating a flow between indoors and outdoor makes for a much better apartment. When I was over there poking around this morning, I started to think about why these buildings were built with small windows and no sliders. It’s not like humans woke up a few years ago and realized light was important. And that’s when it hit me: People probably built closed-up buildings because they felt safer to live in than open ones. If you’re inclination when seeing street life is to be fearful, then you don’t want huge windows; you want a tight, secure cave. But crime rates are way, way down in all of the areas in which we’re interested. People are much less afraid of burglaries than they used to be. So part of what we’re doing in our business is taking these old buildings out of the defensive crouch in which we find them and opening them up for tenants who aren’t afraid of cities any more.